Carving a reputed niche for ourselves in our domain, we are engaged in importing, supplying and exporting a commendable range of Injections & Venipuncture. 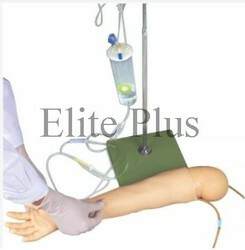 Offered range includes Infant IV Arm, Intramuscular Injection Simulator, Infant IV Leg, Pediatric Head, Central Venous Cannulation Simulator and various other products. All these products are designed incorporating latest technologies and making use of superior-grade material. Our products are suitable for wide application in medical sector owing to their quality, durability and excellent performance. In the tradition of Life/form® products, the Arterial Puncture Arm Injections features the realism of appearance and performance necessary to provide realistic practice for trainees. Size: 28" x 13" x 5"
The Central Venous Catheterization Simulator are filled with red simulative blood for internal jugular vein and sub clavical vein puncturing use. Squeeze bulb can simulate carotid artery pulse. With accurate anatomy, palpation is exactly the same as on a patient. Replacing of the internal tubing and skin is extremely easy. With assistance of our diligent professionals, we have been able to provide an excellent array of Central Venous Cannulation Simulator to our esteemed clients. 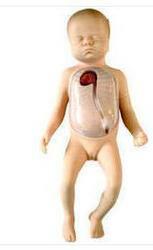 It is suitable for the medical students so as to get training of different concepts. Size: 20" x 17" x 10"
We are offering to our client Life/Form Advanced Venipuncture and Injection Arm - White which gives complete venous access for phlebotomy as well as IV therapy, plus sites for intra-dermal and intramuscular injections. 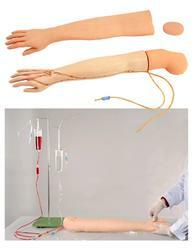 It allows the medical students medical students to practice on venipuncture at the primary as well as secondary locations. 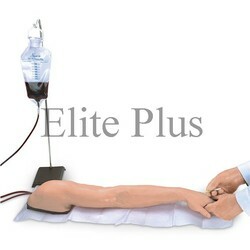 Also helps them to practice venipuncture on starting IVs as well as introducing over the Needle IV Catheters. With assurance of quality, our clients can get a wide range of Infant I.V. 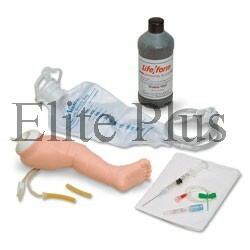 Leg Injections from us. It is highly demanded in the medical training institutes and universities. We procured this product after comprehensive market research from the well-recognized vendors. 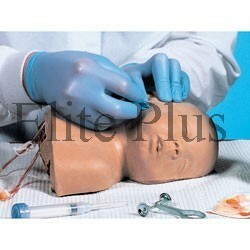 We are engaged in importing, supplying and exporting a commendable range of Pediatric Head Injections. It is qualitative as per the industry laid norms and widely demanded in the medical colleges. Offered product is acclaimed of its special design. Carton size: 19" x 10" x 5"
We have established ourselves in our domain as a reputed organization involved in importing, supplying and exporting of Infant IV Arm Injections. It is designed with superior-grade raw material by our vendors and proves to be highly suitable for wide applications in medical sector. We are offering this product to our esteemed clients at reasonable price range. Size: 8" x 5" x 5"
Designed according to the physiological and anatomical characteristic of Advanced Neonatal Peripheral and Central Vein Incubation, made of imported plastic material, soft and elastic skin, easy to clean and provide technology of inserting into central vein catheter via peripheral vein. Backed by our years experience in this domain, we are involved in importing, supplying and exporting of Intramuscular Injection Simulator. We procured this product from the leading manufacturers with the help of our diligent professionals. 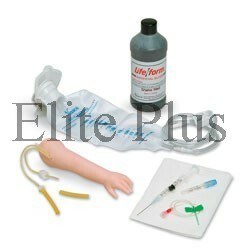 Offered product is highly demanded in the medical sector. Carton size: 22" x 16" x 10"